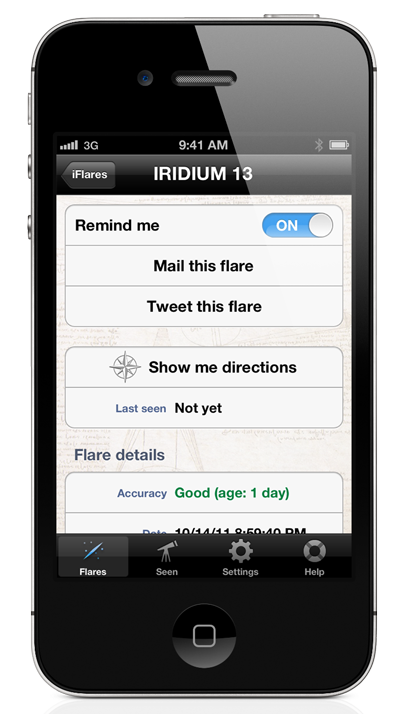 iFlares let you set reminders for flares, mail information on upcoming flares to your friends or even Twitter them (on iOS 5 devices). 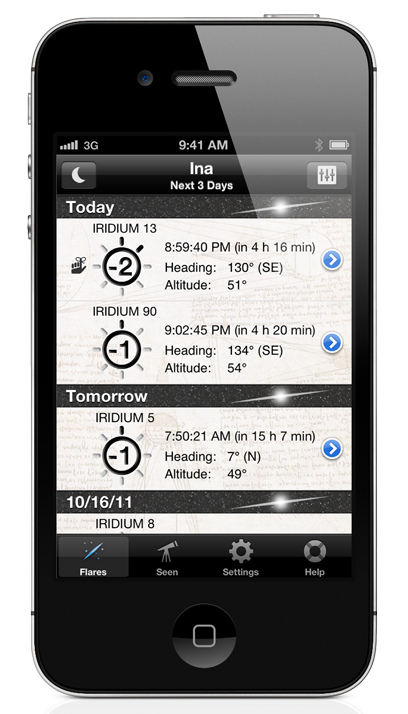 Keeps record of all seen Iridium flares and automatically synchronizes the achievements to Game Center. 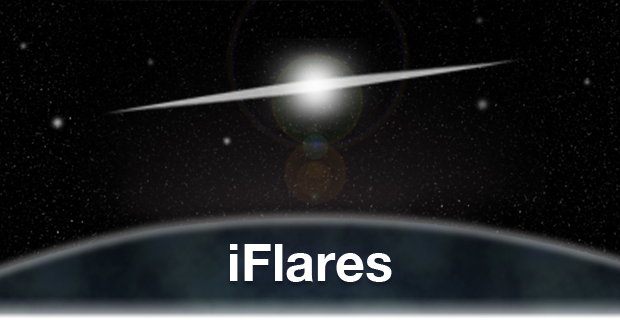 Get iFlares now in the App Store. 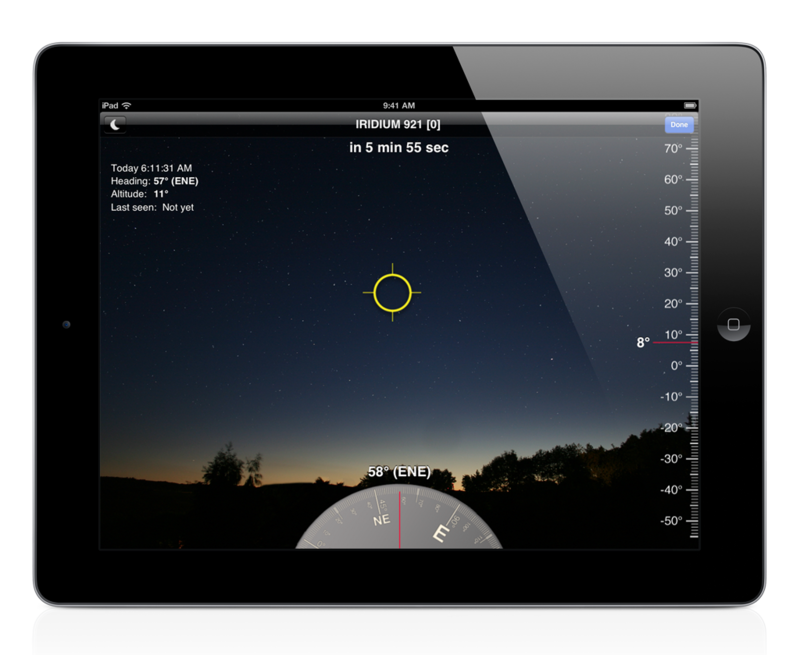 Visual navigation mode for directions with audio countdown when watching flares. 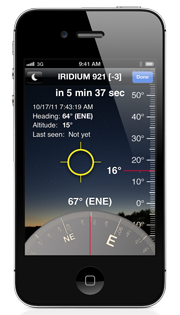 Many additional information on the Iridium satellites and the calculated flares. 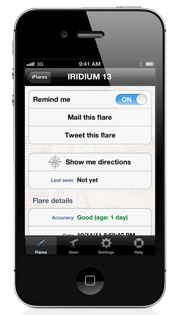 Set reminders for upcoming flares, mail flares to friends or tell about them in Twitter. 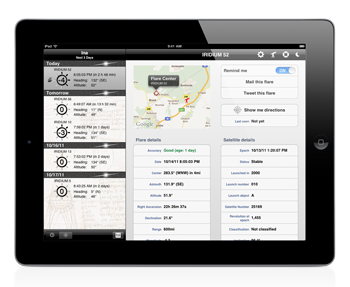 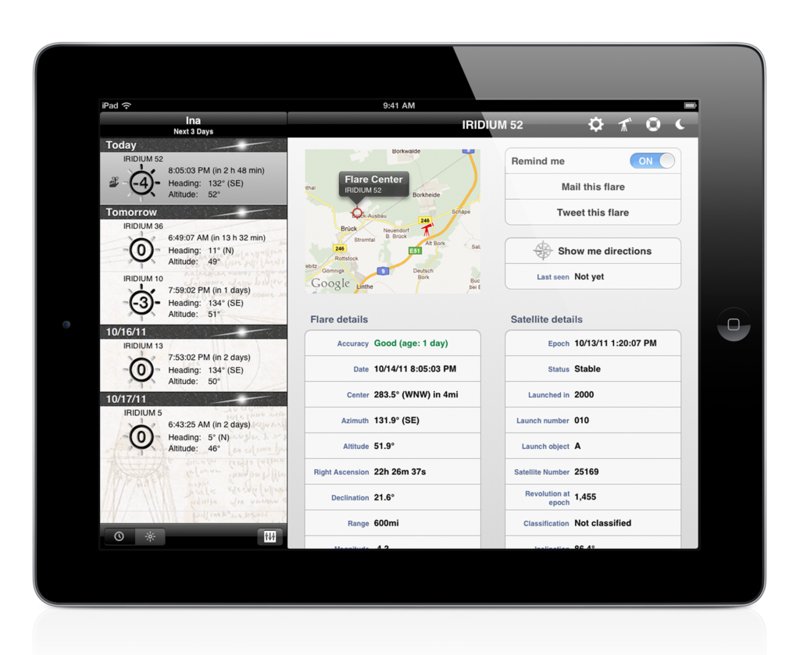 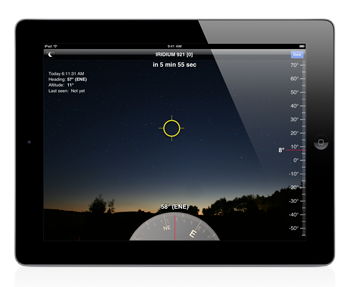 On an iPad in landscape orientation, you see the list of flares on the left and additional information on the selected Iridium satellites and the calculated flare on the right side. 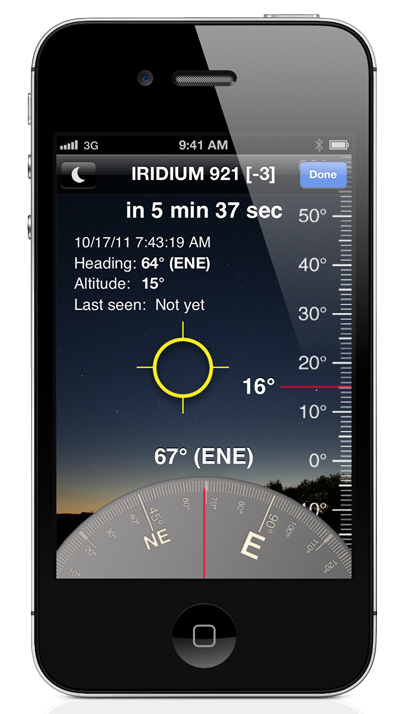 Visual navigation mode for directions including an audio countdown when watching flares.